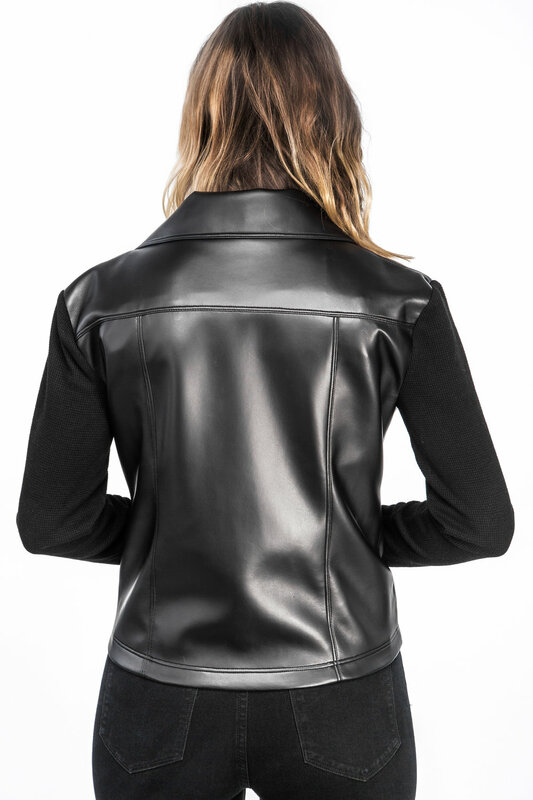 Women's long sleeve lightweight faux leather fitted fashion jacket. Small stand-up collar, diagonal zip at front and pockets with zips. Arm sleeves made up of thermal cotton. Folds inside out into a textured faux leather bag with soft imitation leather straps. Details: 74% Polyvinyl Chloride, 26% Cotton. Hand wash, warm water. Hang to Dry. Do not Iron. Made in the USA.